Hot pot is a term that is thrown around fairly freely in local Chinese restaurants – if a dish has a soup base and a source of heat beneath it to keep it simmering, most will list it as hot pot (at least in the English translations). As we understand it, however, Chinese patrons have a different definition, and it involves a significantly more elaborate set up. 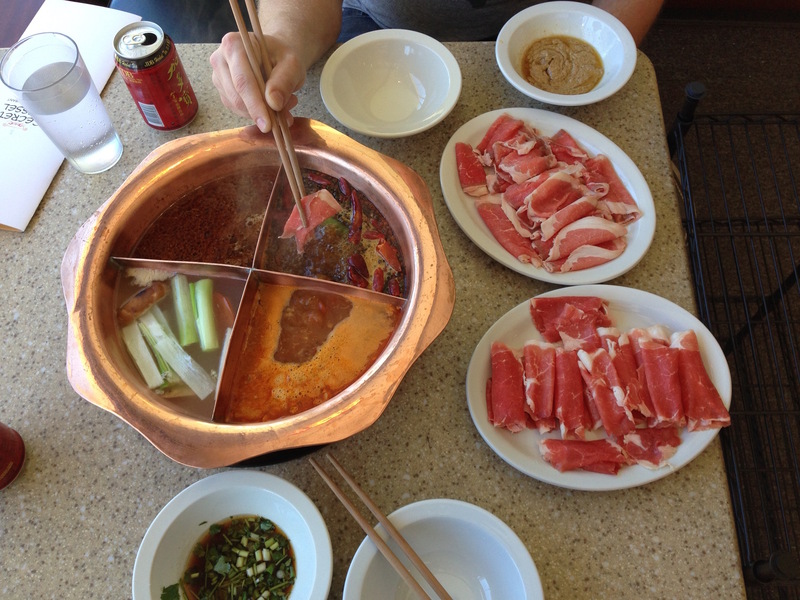 Secret Vessel is first restaurant in town to focus on cook-at-the-table hotpot. Before we get into what that is exactly, it needs to be said that we stumbled into being Secret Vessel’s absolute first paying customers, and it was clear that they were not yet entirely up to full operating standards. They handled this with immense grace, and the food displayed so many unique and wonderful traits that we felt we needed to share our experience even at this early point in their evolution. So, back to hot pot, Chinese style, which is the vast majority of what Secret Vessel does. 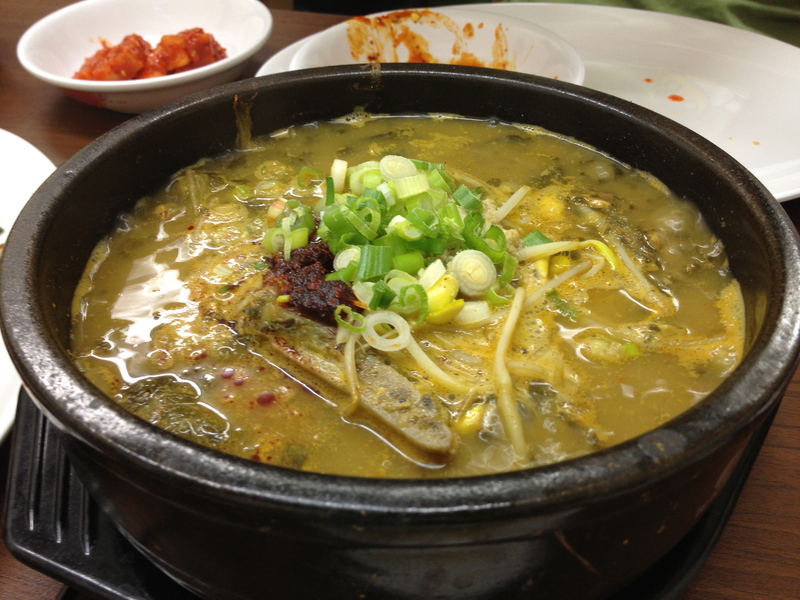 Broken down to its basics, there are 3 distinct elements – a broth simmering atop a table top induction burner, prepared ingredients on the side to dip into the broth, and sauces that you can dip your prepared ingredients into after they come out of the broth. All of these are customizable, and many options are available for each. There are four broth options – Szechuan, Tomato, Hong Kong satay, and a clean, light Signature flavor. All can be had at one time in a bowl divided into quadrants. We did this, and found ourselves particularly enjoying the tomato broth, less than fond of the satay broth, and perfectly content with the other two. As broths become depleted, the attentive servers refill them. As far as we could tell there was no vegetarian broth option. The range of ingredients is vast, and is divided into 8 distinct categories – meats, seafood/fish, meatballs, bean products (essentially tofus), fungi (mushrooms), vegetables, ‘other’, and finally, combinations (assembled plates from the previous categories). We ordered the ‘angus boneless ribeye combo’ (beef slices, tripe, beef balls, tofu, cabbage, bean curd, white mushroom), and were given a couple of extras (shrimp balls, lamb slices) to, I suspect, gauge our reactions to them. 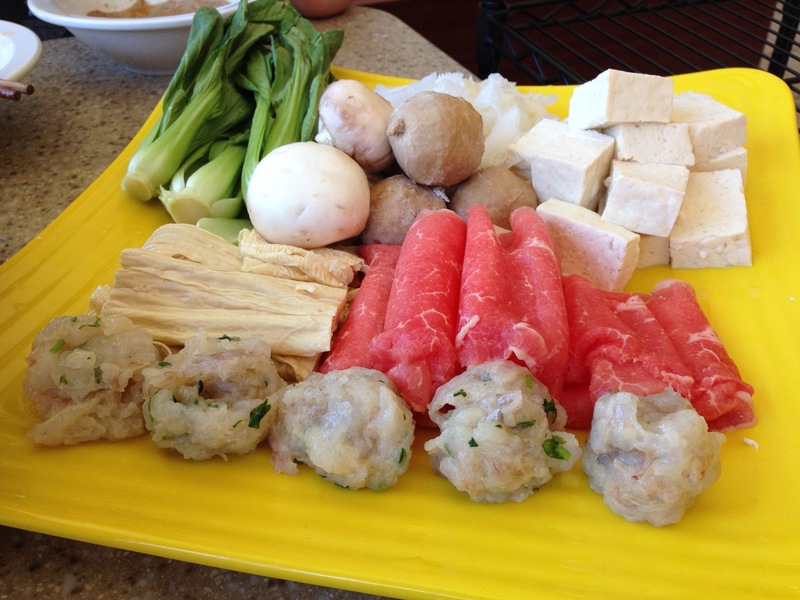 Across the board, we were impressed with the freshness of the ingredients – it was conspicuous in the flavor of everything we tried, and elevated it well beyond anything we’d had before in a hot pot (or ‘hot pot’) setting. The lamb and beef were lovely, and both the beef balls and the shrimp balls were hand made in house (a rarity). Both were genuinely among the best things I’ve tasted in some time. Even the mushrooms and the tofu were transformed from something ho-hum into perfect flavor-packed bites after a few minutes of bathing in the tomato broth. 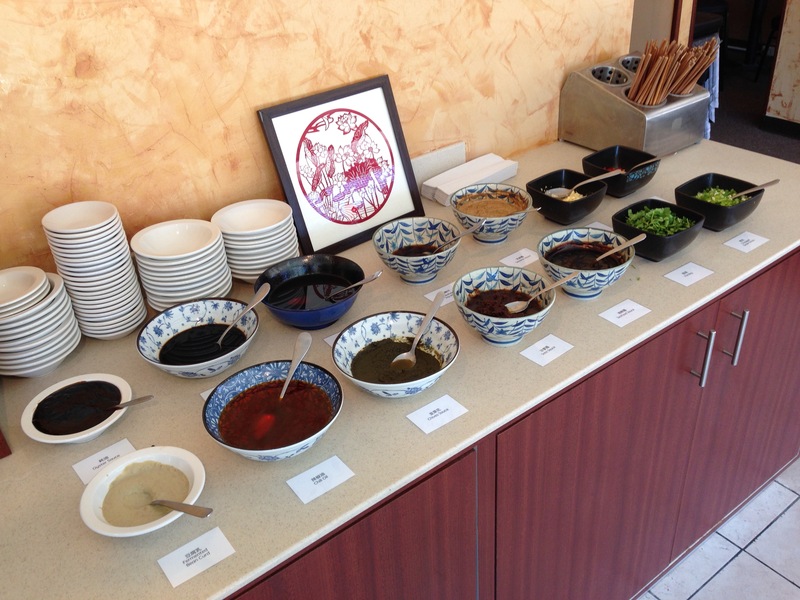 A wide range of sauces were clearly laid out on a bar, and as it was explained to us, the idea is that a customer who opts for the sauce bar ($2.99/person) can ladle multiple sauces into a bowl and mix them to their satisfaction. Being new to this game, we asked the owner to mix a couple up for us. We dutifully dipped our simmered mushrooms and the like into the sauces, admired the owners ability to concoct such edifying combinations, and ultimately appreciated the flavor of the simmered ingredients without the sauces (they struck us as good, but they served to cover the exceptional flavor of the ingredients themselves). Quality has a price, and in this case it was just under $60.00 for two. For all we were provided, the obvious labor involved in creating it, and the satisfaction provided, we’d call it a solid deal. We’re looking forward to returning, and especially to trying the full meatball assortment. Almost nervously, the server pulled me aside to ask, “you like the taste?”. It was as though she didn’t believe us when we had eagerly volunteered that we enjoyed what we were eating several times previously. More than just enjoy it, which we truly did, we were surprised. 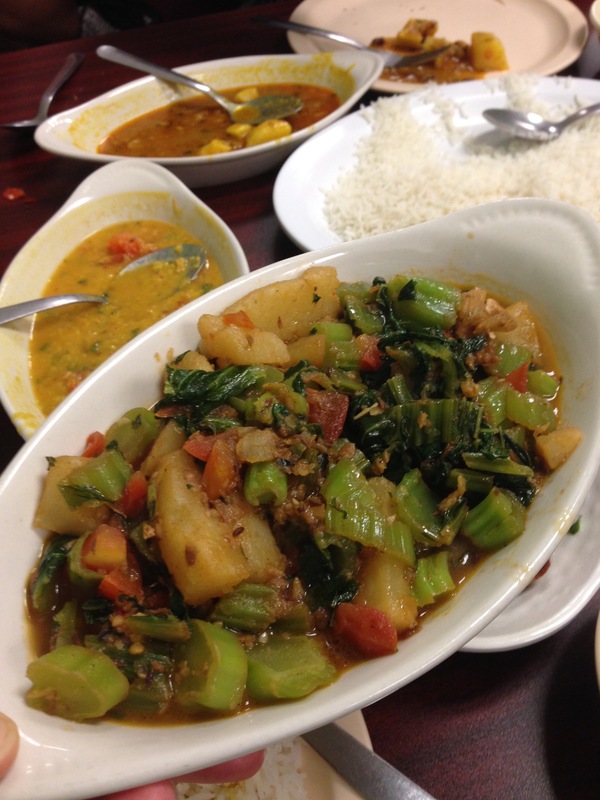 We’d been to Namaste a while back, and had not thought much of it, but a good Nepali friend suggested that the food had improved markedly and that the menu had changed for the better. This, as it turns out, was an understatement. 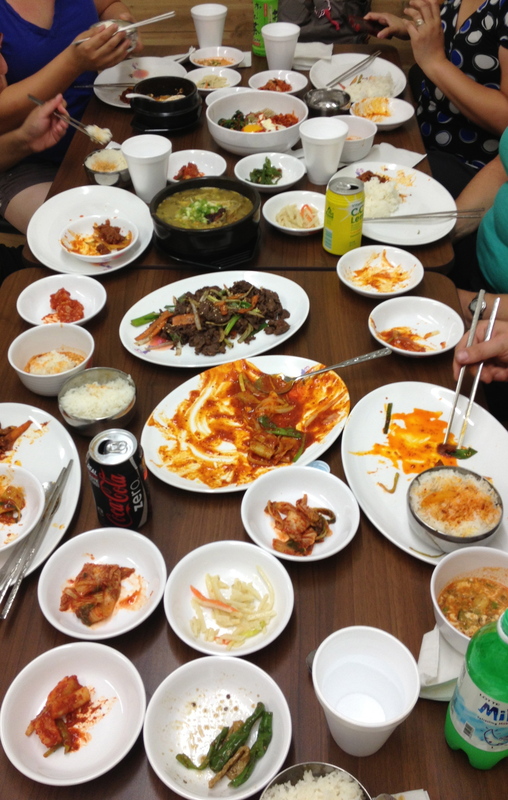 Dishes hit the table right as they were finished by the kitchen, and everything was served piping hot. First came the bhatmas chiura – a spicy snack of smashed rice flakes, fried soybeans, minced chilis, onions, and spices. 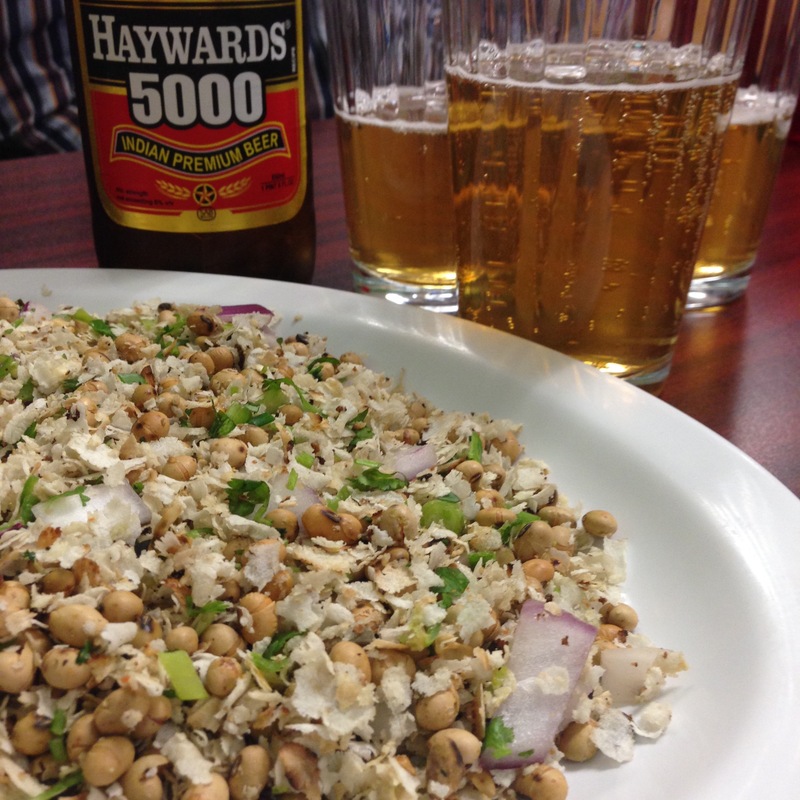 It was intensely flavorful, crunchy, dry by intent, and presumably meant to be paired with beer. Which we did (Haywards, highly recommended). Off to a good start. 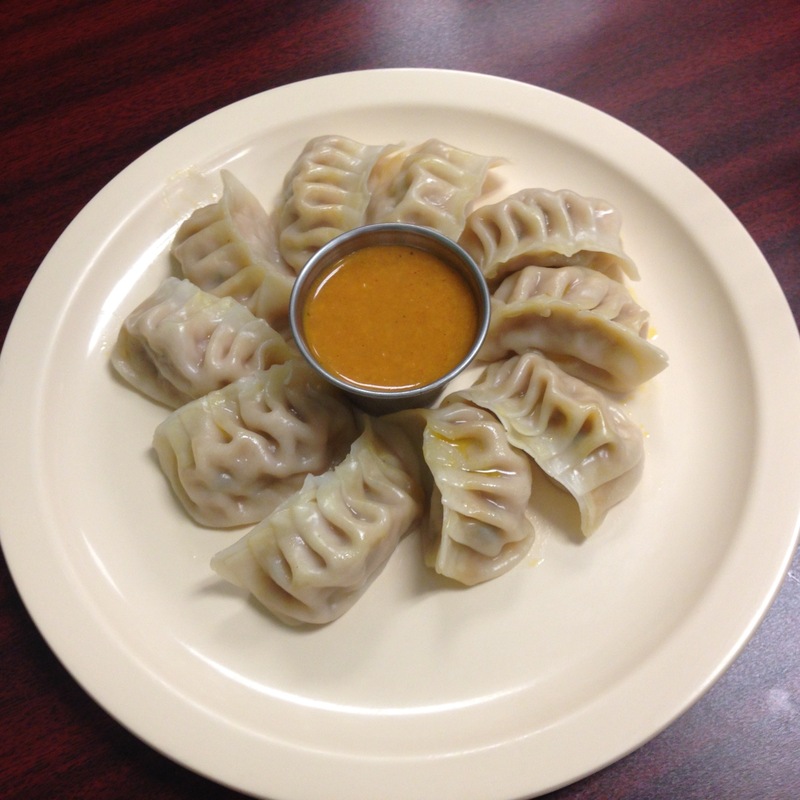 Next came the hand-made momos – quite possibly the most iconic of Nepalese dishes. Similar to a steamed Japanese gyoza in form and concept, these were filled with minced chicken, onion, garlic, and just enough ginger to make itself known. A pleasantly savory tomato-based sauce accompanied, and in total the dish amounted to a crave-worthy alternative to the various dumplings more commonly found locally in other Asian cuisines. Dal, essentially a lentil stew, is ubiquitous among Indian-influenced cuisines. At worst, it’s a near-Dickensian gruel, and at best, it’s… okay. Namaste’s mung dal was better than that, and then better yet again – it was delicious, and the first example of the dish I’d eagerly recommend to vegetarians and carnivores alike. The meat-free options don’t end there, either. The aloo saag, a potato and mustard leaf stew, impressed with its bold and novel flavor combinations, and the aloo bodi tama (typically ‘pre-order only’, but available on our visit) was equally enjoyable and equally unique with it’s intriguing combination of black eyed peas and bamboo shoots. We’d order either again in a heartbeat. Finally, an order of goat sekuwa arrived. Think of the tastiest tandoori chicken you’ve tried, but with goat instead, and you’ll just about be there, except for the fact that it’s just about impossible to convey how well the tandoor treatment works with the flavor of goat. The flesh is almost inevitably on the chewy side (most cuts of goat respond better to a slow cooking method than to a high-heat grilling), but it didn’t diminish our enjoyment one bit. It’s become increasingly rare that we come across restaurants whose flavors and preparations truly expand the sum total of novel food experiences in the city, but Namaste emphatically does. To us, from our little niche within the food world, that makes them an addition of importance. Namaste also offers thali platters (individual meals made up of a variety of dishes) on weekdays and a buffet on the weekend. Catering is available, and at first glance at least looked reasonably priced. The opening of a new Mexican restaurant typically merits the same attention as the opening of a new Subway, and with good reason – if you’ve had it anywhere else, you’ve almost certainly had what the new place has to offer. The code of the American ‘Mexican’ food palate has long ago been broken, and the resulting template is impressively well established locally. 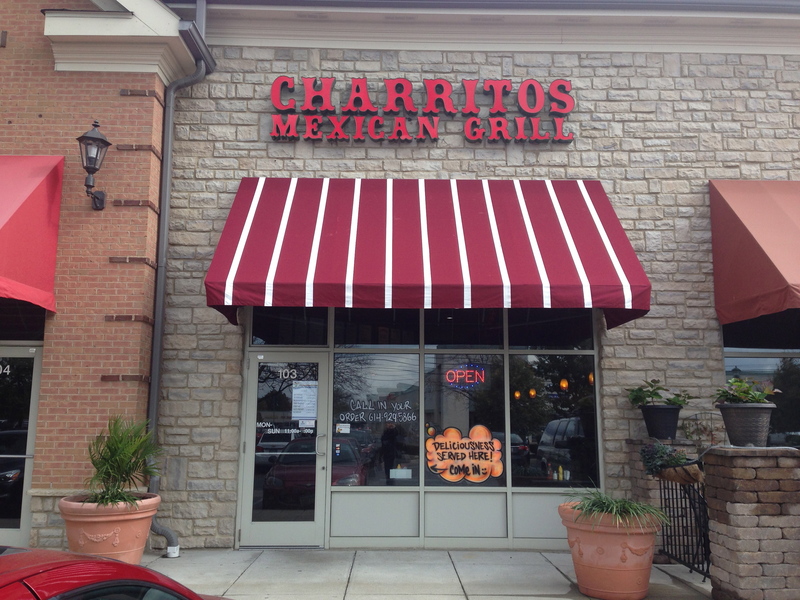 Charritos, however, bucks the trend. Sure, you can find sizzling fajitas, but you can also get real, street-style tripa and lengua tacos, or even a tlayuda. Even Mexico City-style spit roasted al pastor is on offer. In other words, it’s true Mexican food with the occasional nod to more dominant local sensibilities. And, it’s quite good, which is unsurprising – as we understand it, the owner and his family run several restaurants under the same name in his native Oaxaca. 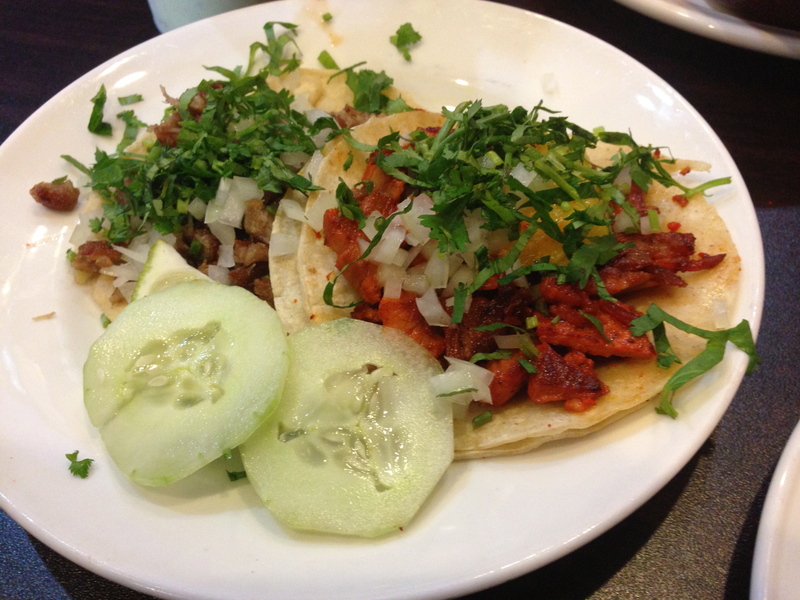 We first caught wind of this place when a friend suggested that the al pastor was better than at Los Guachos. Yeah, that’ll get our attention. 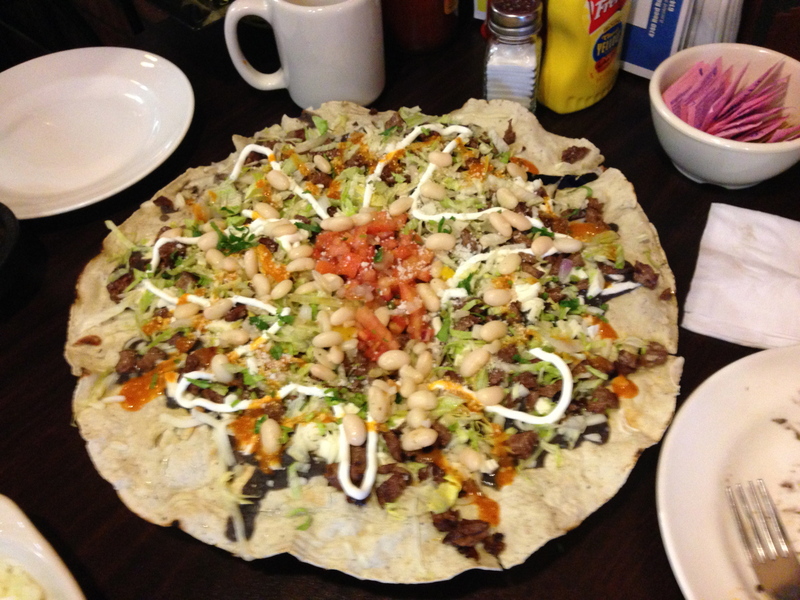 We tried it in a chicana, which is a politically correct naming alternative to Guachos’ gringa, and we had to agree that it was damned solid rendition. 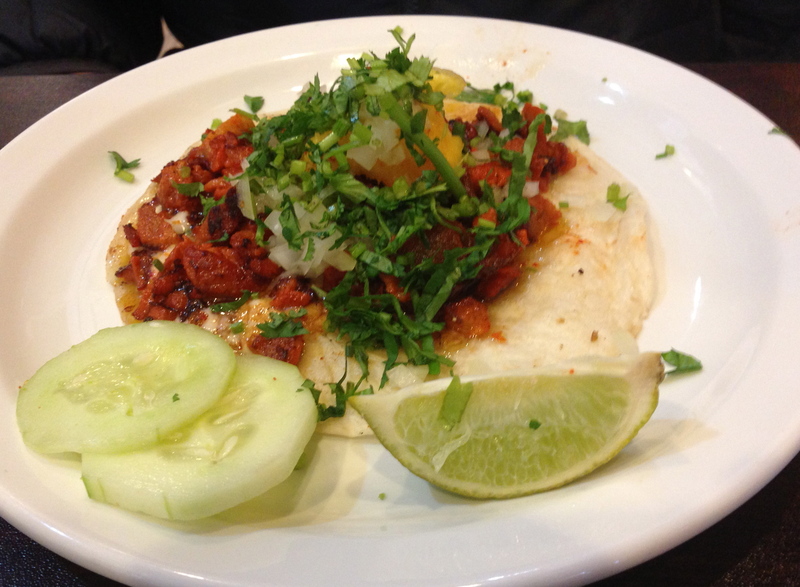 The al pastor was impressively tender, nicely flavored, but lacked the flame kissed crusty bits that put Guachos over the top… at least on our visit. Beyond that, it was pure classic gringa/chicana satisfaction through and through. The tlayuda was a pleasant surprise, first because they had it at all (it was a special) and second because it was so different than what we’ve found elsewhere in town. The shell was distinctly unique – thicker, crisper, and overall better. The local preference for chorizo was not recognized, and a seriously tender asada took its place. Black beans coated the shell as usual, but a smattering of white beans finished it off on top. It’s a solid alternative to the more common (as in, two places carry it…) version. Ditto for the tripa, and the lengua, and on and on. 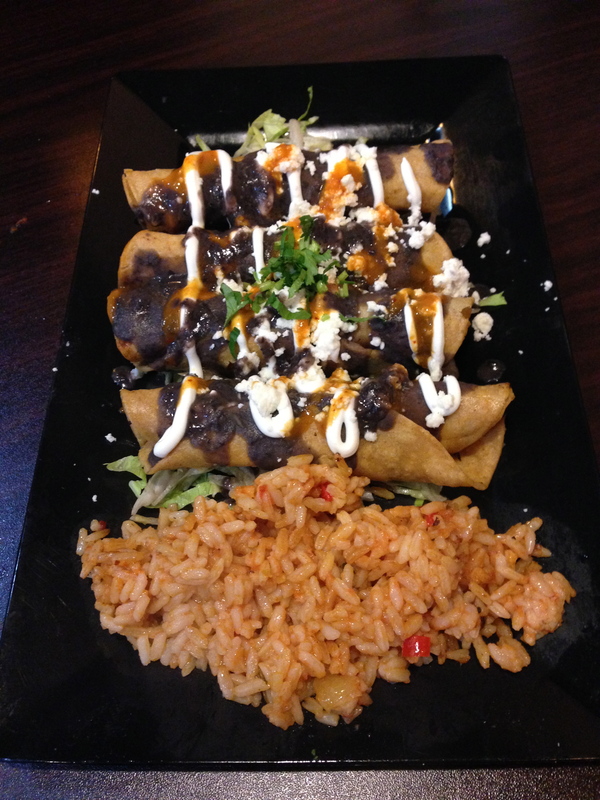 The flautas were particularly enjoyable, stuffed with what appeared to be tinga-style chicken. The caldo de mariscos has never been my favorite dish, but it was at least as good here as anywhere. In other words, Upper Arlington just got a taco truck cleverly disguised as a strip mall restaurant. Use it as such, and enjoy taco truck quality food in the comfort of a warm dining room this winter. L’Appat Patisserie in Olde Towne East is best known for its sweet treats, but owner Didier Alapini, has started offering a Pan-African day menu every Thursday. Didier is from Benin in West Africa but his weekly Pan-African menus span the continent from Morocco to South Africa and include all kinds of dishes. 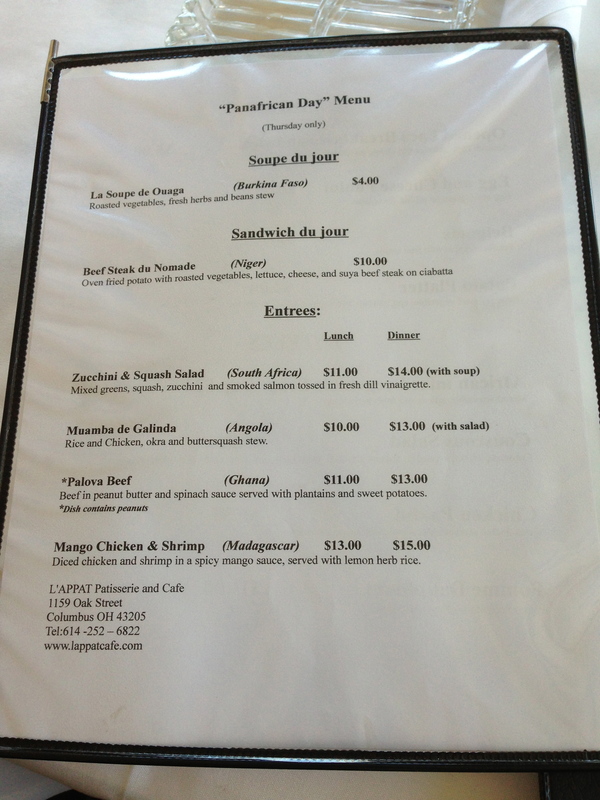 Here’s the menu from last week’s inaugural Pan-African day. The menu will change every Thursday. 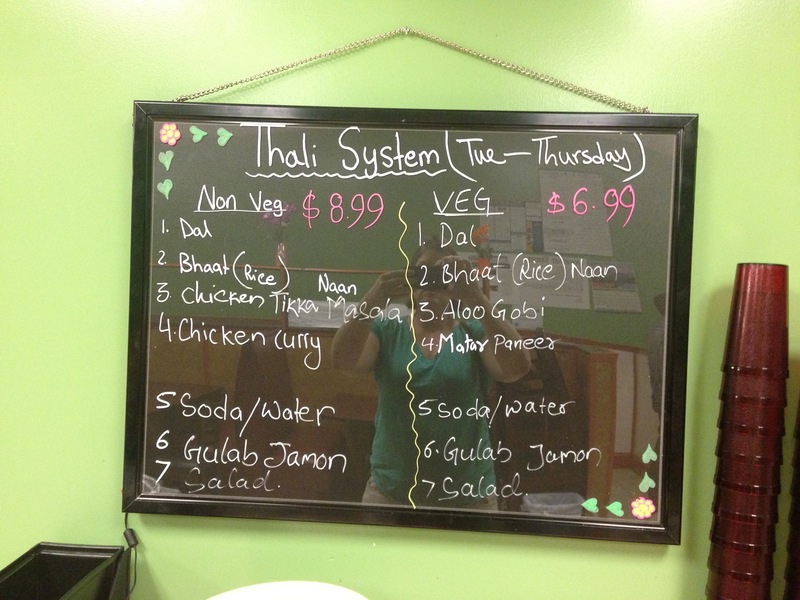 Each week’s menu is posted in advance on their Facebook page. Entrees: (The first price is lunch and the second is dinner). Mixed greens, fresh tomatoes, cucumbers, and black olives with citrus vinaigrette. 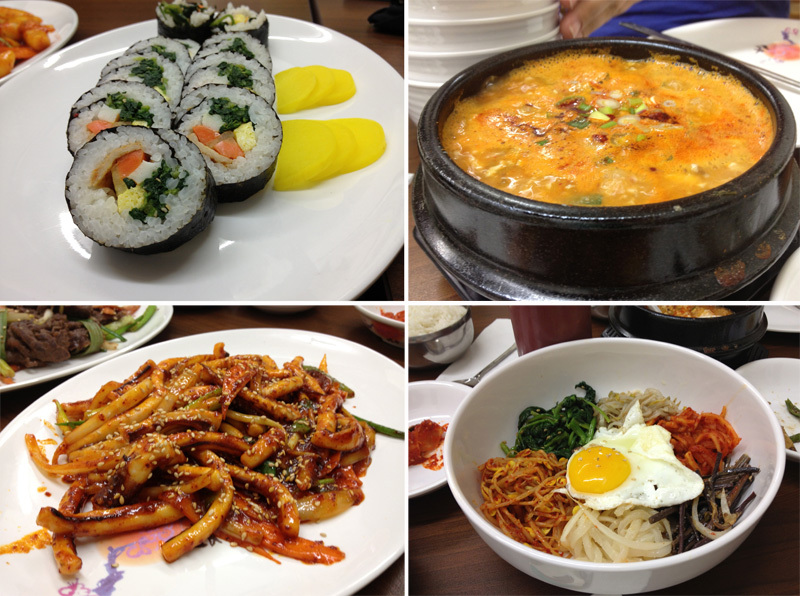 Here are a couple of the dishes that we enjoyed last week. Pavlova beef with a spicy peanut and spinach sauce, served with sweet potatoes and plantain. This Ghanaian dish was available hot or mild and the hot version definitely had a kick. 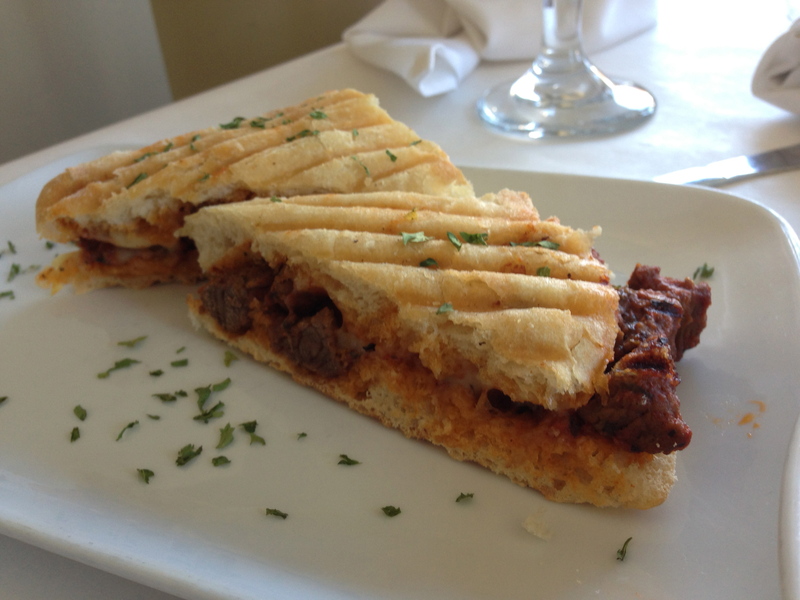 Beef steak du nomade from niger – a panini style sandwich with suya beef steak and cheese. This was served with a large plate of roasted vegetables and potatoes. L’Appat is also offering a seafood night on Fridays. If you haven’t been to L’Appat we definitely encourage you to check it out. They have a really interesting (and good) assortment of pastries, cookies and cakes. 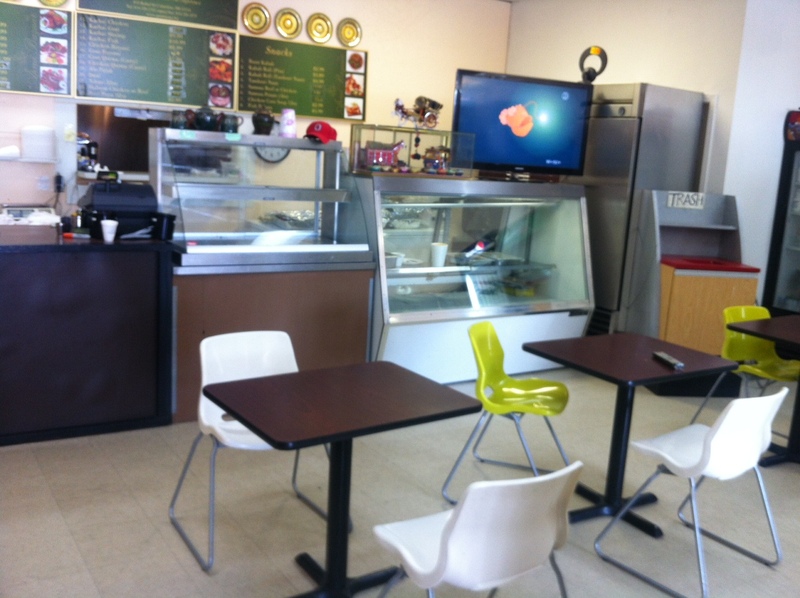 The cafe is a nice light space, open for breakfast and lunch and their regular lunch menu includes soups, sandwiches and salads. 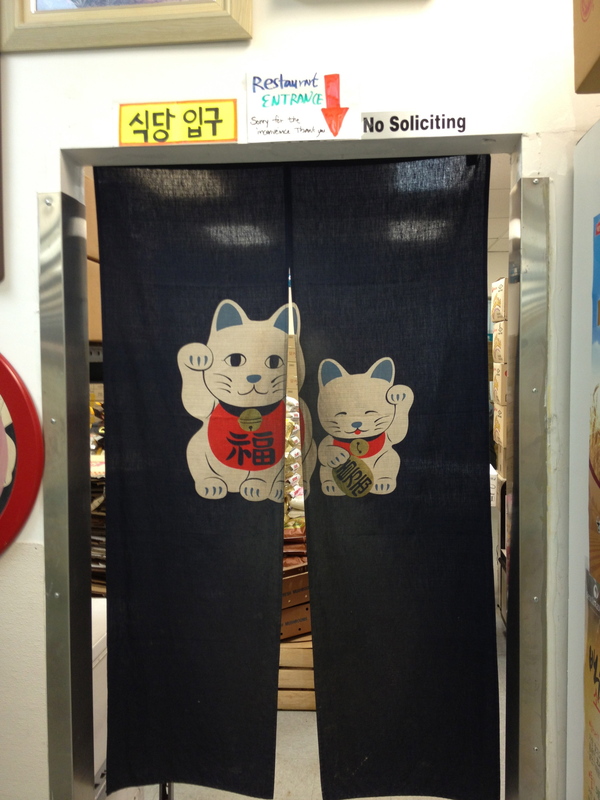 I have a sneaking suspicion that Korean restaurants are trying to hide from us. The whole idea behind strip malls is that every storefront faces the parking lot, but Silla somehow manages to be tucked away behind a bar, accessible only by going down a forbidding path between the walls of two buildings. 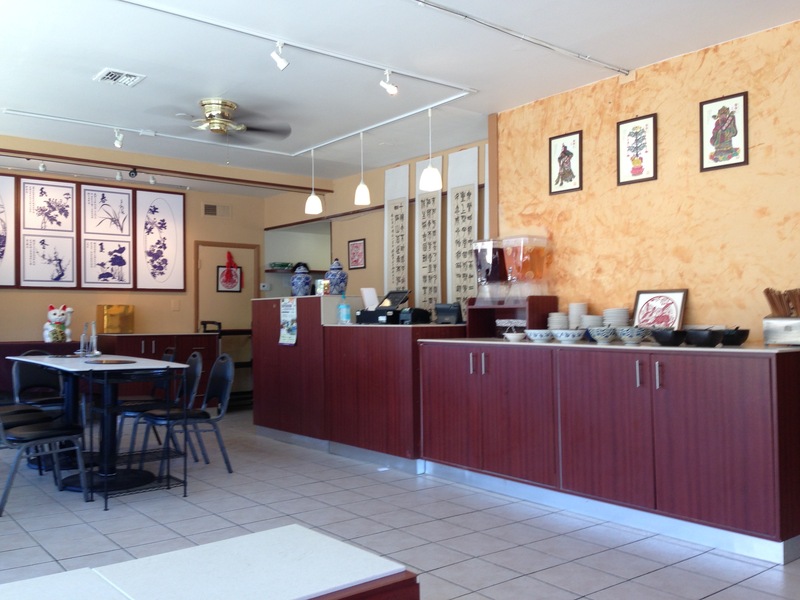 Arirang, another strip mall location, is a grocery with a restaurant in the back. You could shop the entire retail space without even knowing that the (essentially walled off) dining area existed. 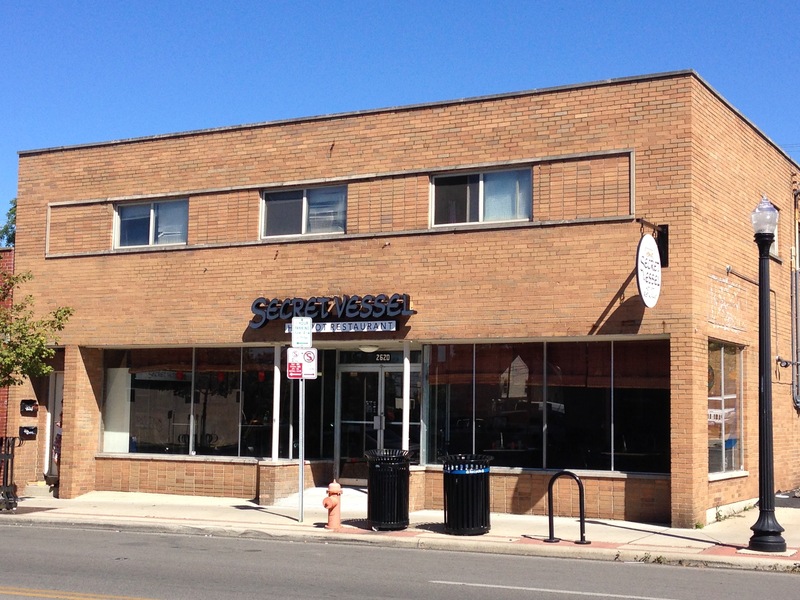 A solid restaurant with a primarily Korean menu on north campus hides in plain sight behind the name ‘Japanese Oriental Restaurant’. 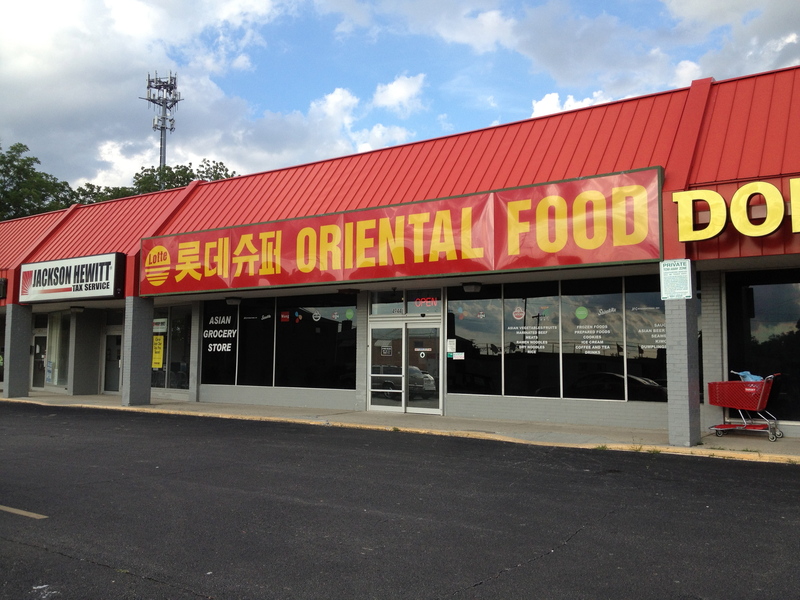 And, finally, does anyone remember the Korean restaurant on Lane & High in the ’90’s? It was stuck so far back in a building that the only way to get there was by going down a dank, dimly neon lit, vaguely Blade Runner-esque corridor. Now there’s Lotte, an established Korean grocery with a new secret. Towards the back of their sizable retail area there’s an entry to a storage room. Enter, and you’ll see sacks of rice piled high among various other palleted goods. And a door. Enter that, and you’ll find their shiny new restaurant. And, if you’ve actually made it this far, chances are you’ve made your first mistake; you order at the grocery checkout, and take the receipt – which is your order ticket – to the employee working the counter in the restaurant. The dining area is bright, clean, cramped, and no-frills. Like Arirang, water is self-serve from a dispenser and utensils are stored on boxes at the tables. 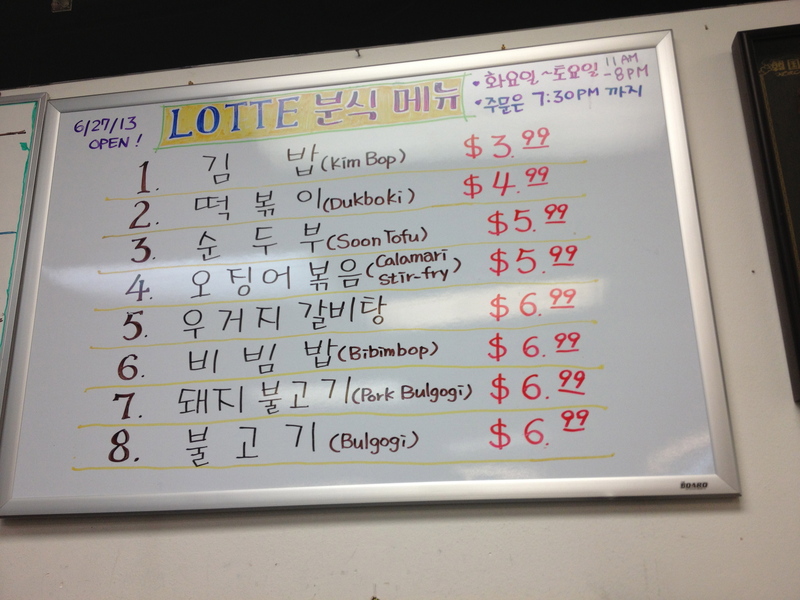 Also like Arirang, the menu is small and largely focuses on better known Korean favorites, such as bulgogi, bibimbop, and kimbop. Service was brisk, and our orders arrived quickly. All were solid, if not exceptional… at least until you factor in the pricing. Our group of 7 ordered the entire menu, ate almost to the point of bursting, took home leftovers, and paid just over $50 for the whole spread. I’m tempted to think of it Korean fast food – it’s not the best, but it’s fast, cheap, and will take the edgy off of any Korean cravings. 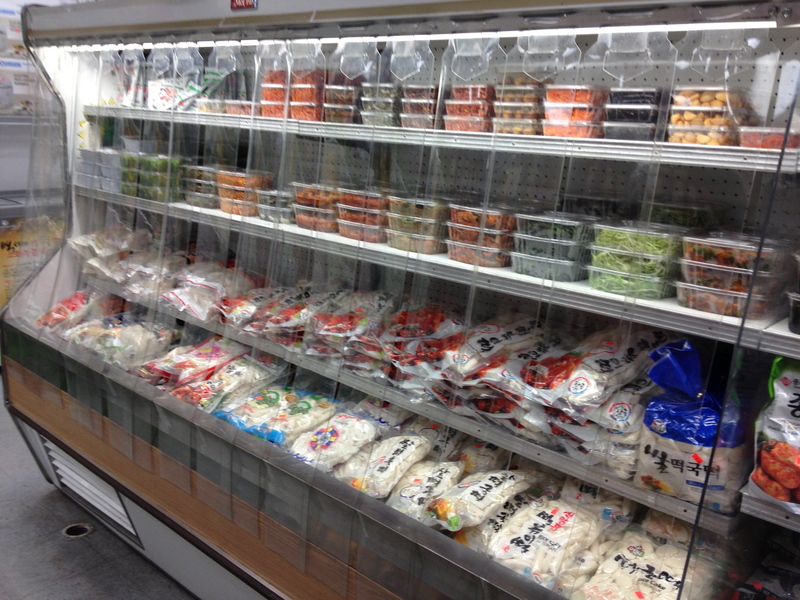 Lotte probably has the widest selection of the three dedicated Korean markets in Columbus, including a large selection of prepared foods and banchan dishes. The staff are also helpful. One last note – #5 on the menu is not translated into English, and it’s what we believe to be a regional Korean spin on kalbi tang stew (Woogeoji galbitang – beef rib and cabbage soup with soybean paste). This is the only place we’ve seen it in Columbus, and it’s a deeply vegetal beef broth soup with generous chunks of beef. Definitely worth a try if you’re looking for something out of the ordinary. This is the kind of story we like to write. A cook from a restaurant we adore – Adil from Tandoori Grill – strikes out on his own to open a new restaurant, Khyber, in a new part of town. The owner of Tandoori Grill, Said, wishes him well; we’ve spoken to both and there are clearly no hard feelings. The food at Tandoori Grill remains great, the food at Khyber makes for an impressive debut, and just like that the city has doubled in quality Pakistani dining options. As far as we’re concerned, everybody wins. 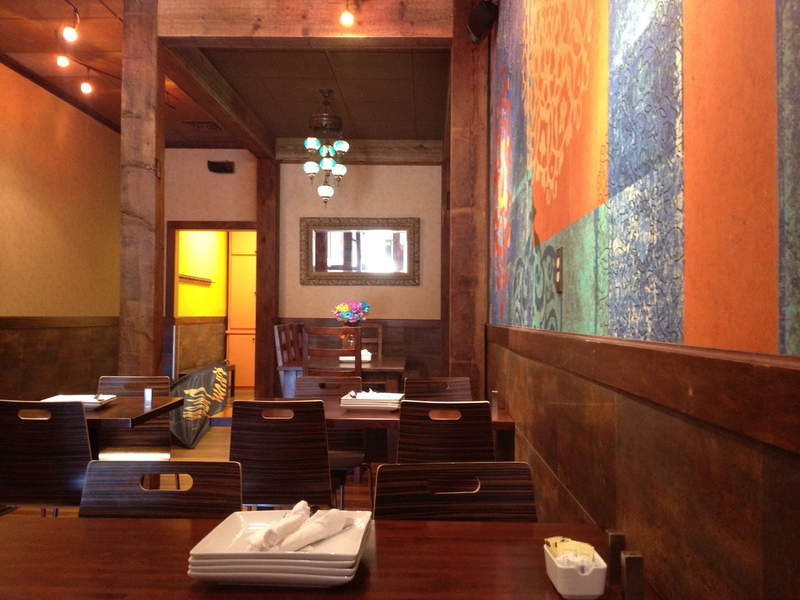 Khyber occupies the west side space that previously held Azteca de Oro. As with Azteca, environs are humble but comfortable. 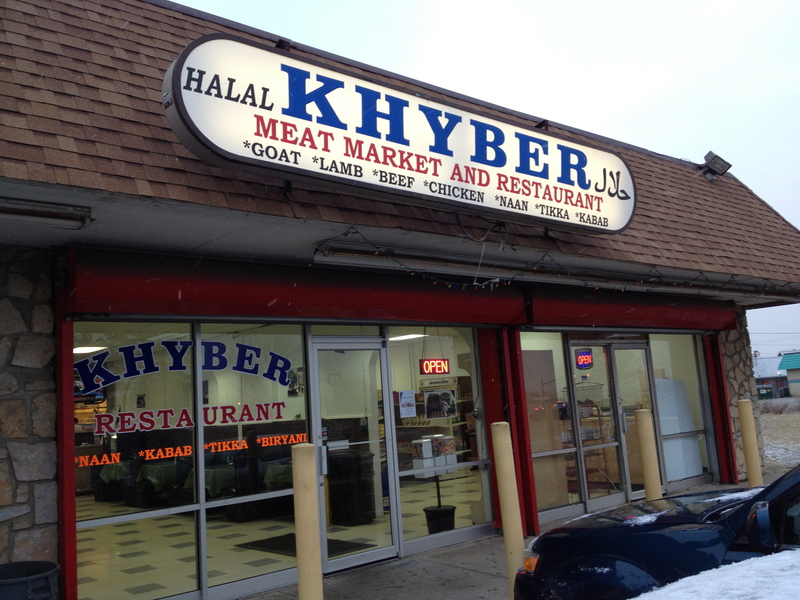 As with Tandoori Grill, a small Pakistani grocery with a meat counter adjoins. Khyber’s speciality is tandoori dishes – grilled meats and nan bread cooked in the tandoor oven. 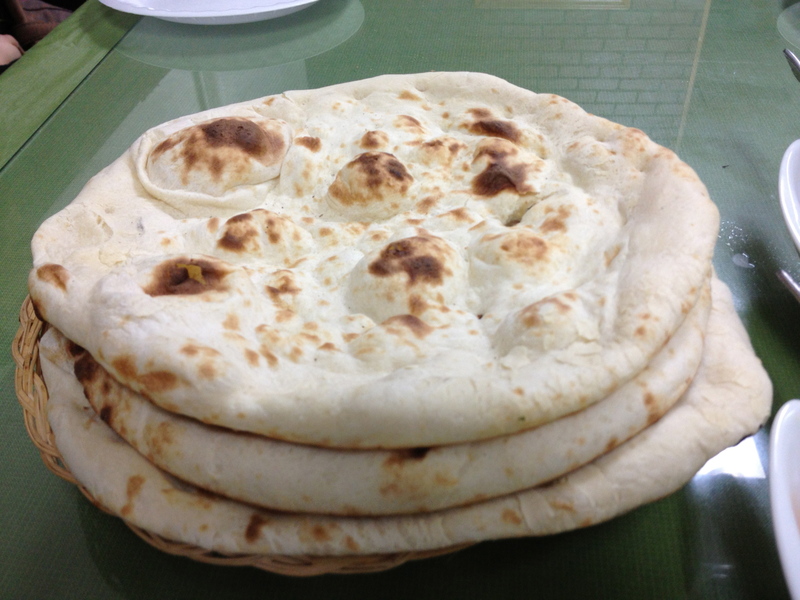 The nan bread is cooked to order and, like at Apna Bazaar/Tandoori Grill, it is thinner, less doughy, and in our estimation far preferable to most other options in town. Of the tandoori meat dishes we’ve tried, we particularly like the seekh (ground meat) kebabs – available in lamb, beef or chicken. They are nice and juicy, feature a good amount of spicing and heat, and are great paired with nan and a little of Khyber’s yogurt based chutney. 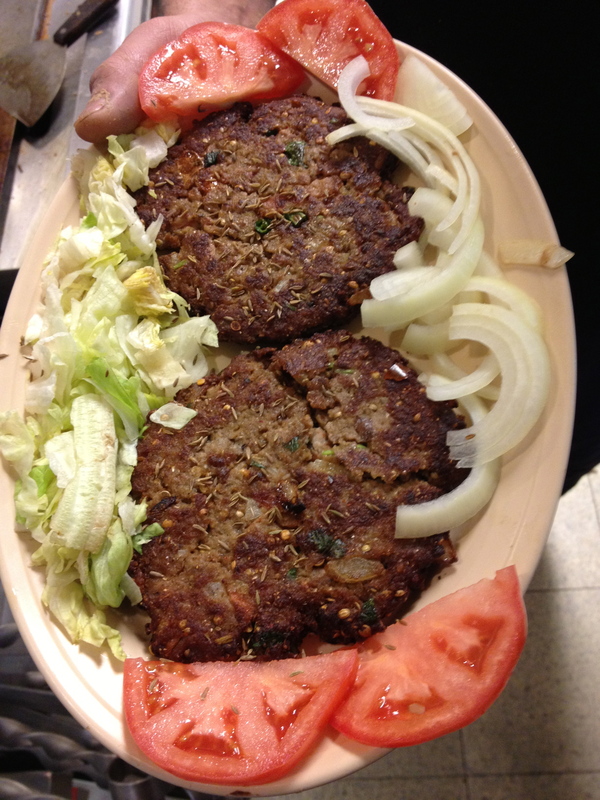 Also tasty are the chapli kebabs – burger-like ground beef patties with onions, tomatoes, chiles and spices. 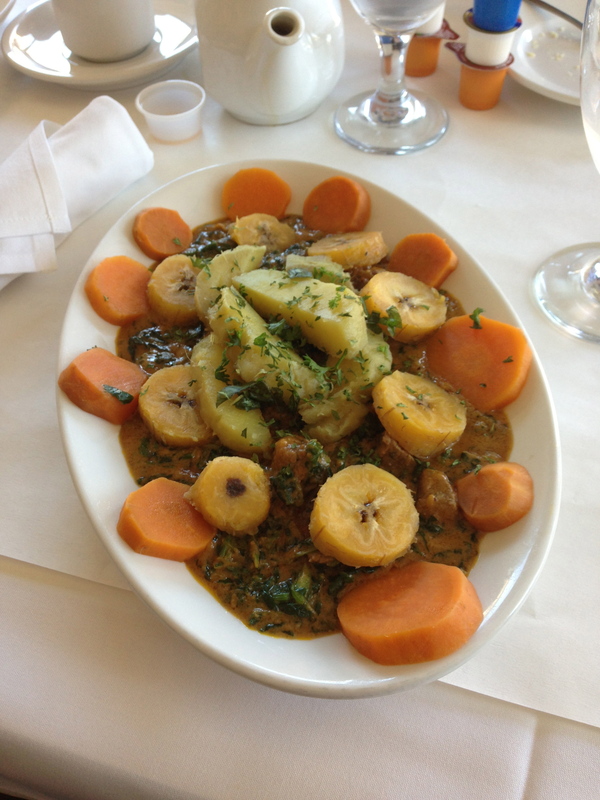 The menu offers some interesting meat stews and satisfying vegetarian options. Stews include nehari – a rich beef curry stew with extremely tender slow cooked beef; goat quorma – a mild curry with lots of gravy and a meat based curry with wheat called haleem, barley, and lentils. 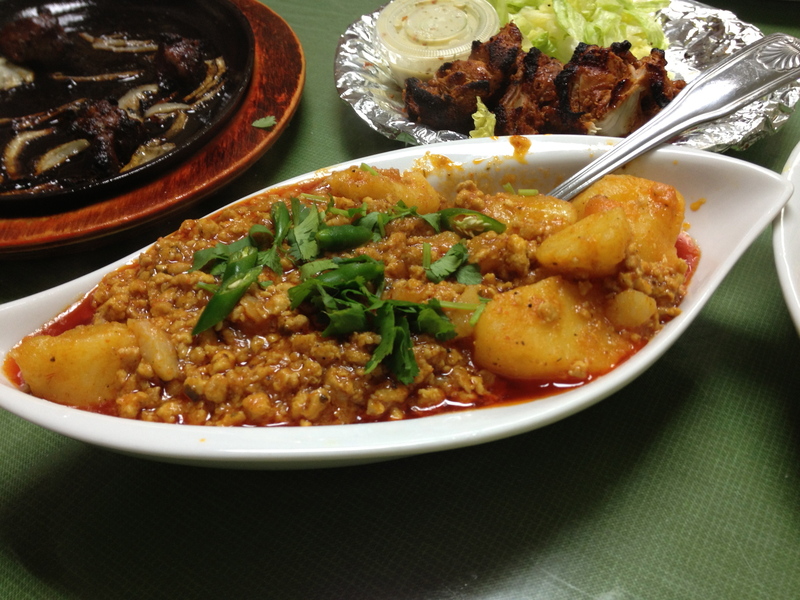 Not listed on the menu but also available (and one of our favorites) is aloo keema, a ground meat and potato curry. 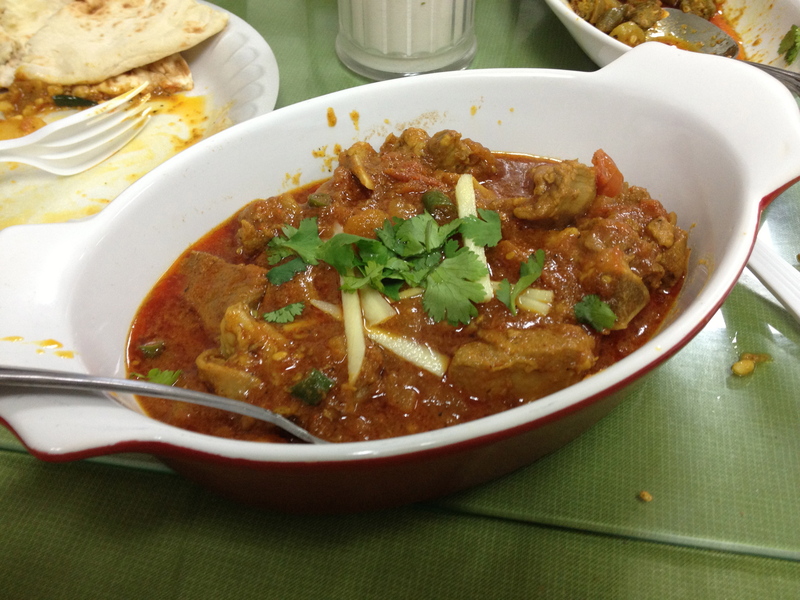 A little drier (in terms of the saucing) but still entirely enjoyable are the karahi dishes – curried meat, either goat or chicken, with tomato, green chili and onion. 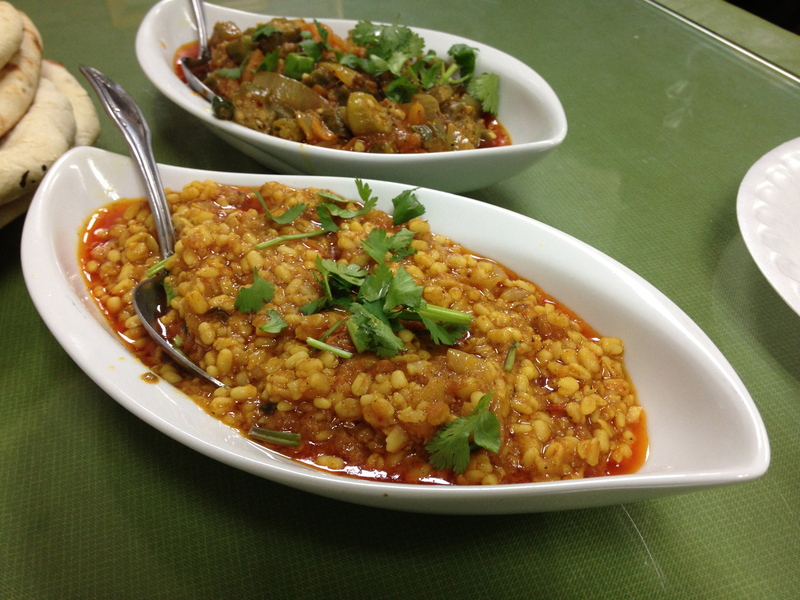 For vegetarians, or as a great side dish for the tandoor grilled meats, there are lahori chana (whole chickpeas in sauce), mash dal (white lentil dal) or bhendi (curried okra). We particularly liked the okra and the mash dal. Adil said that there would be at least one dal available daily. The menu is expanding and there are often specials. In addition to the listed items we’ve also tried samosas, goat biryani, cow’s foot curry and house made desserts including kheer (fragrant rice pudding) and semiya halwa (sweet, spiced vermicelli noodles). One interesting, and somewhat incongruous, item is the New York style gyro. 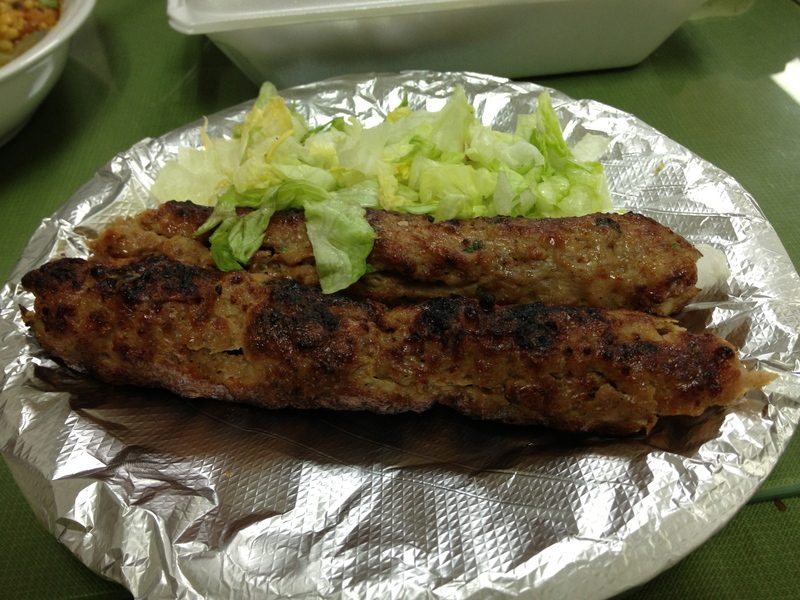 Served as more of a deconstructed dish, it’s comprised of rice topped with lettuce, gyro meat, pita slices, and a generous saucing. Unconventional though it may be, we’d take it over the vast majority of the gyros we’ve tried locally. 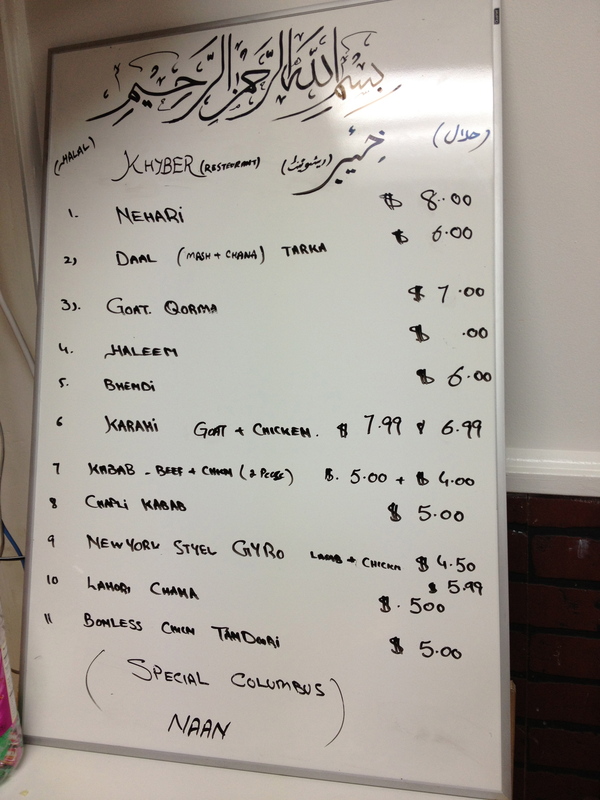 With the most expensive dish priced at $8, and many served for far less, Khyber is very good value for the quality of food and a great addition to the West Side. …that should make everyone happy! So here’s the story – when the space next to Apna Bazaar opened up, Apna’s owners pounced on it. 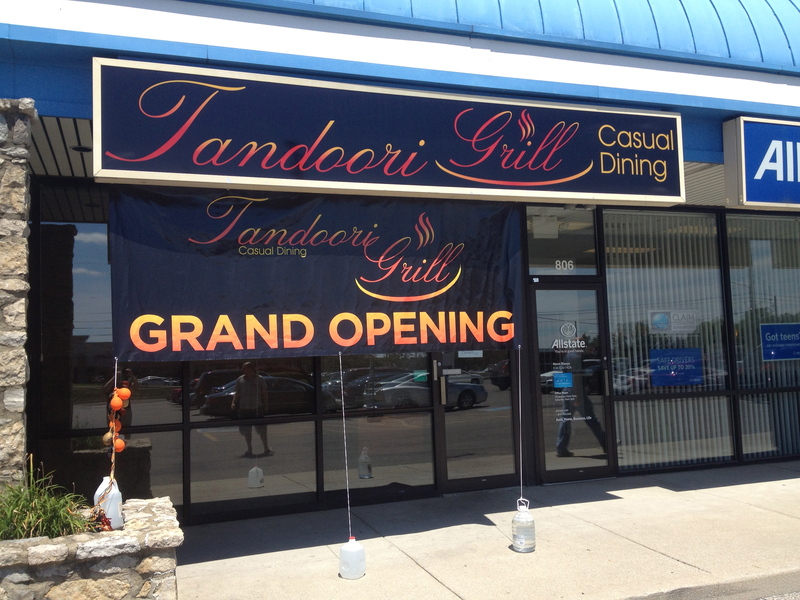 They gave it the pictured makeover, named it Tandoori Grill, and evolved from functioning as a simple takeout counter to providing a true, full service, sit-down experience. 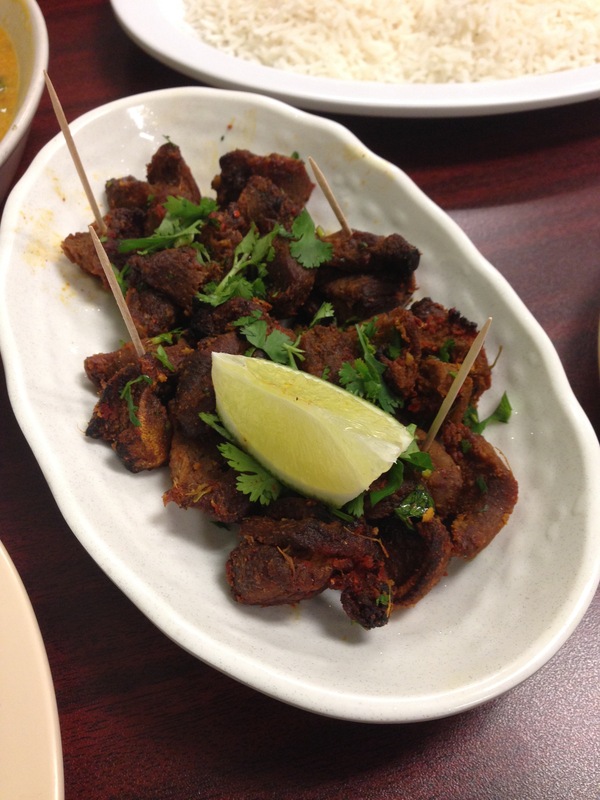 Tandoori Grill (and Apna – the takeout counter is still open) specializes in Pakistani cuisine, with an emphasis on tandoori-grilled protein preparations. 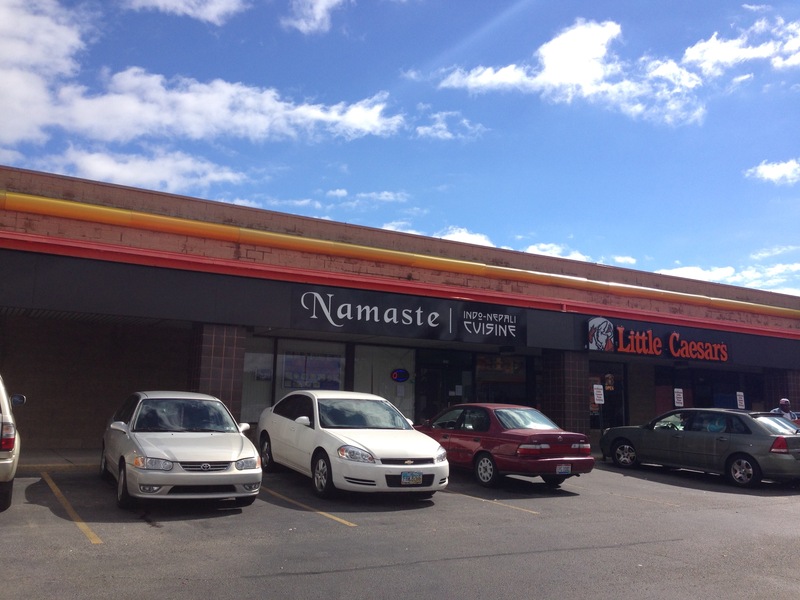 If you’re familiar with northern Indian cuisine (most Indian served in Columbus is essentially northern Indian in inspiration), this should be comfortable territory for you. Especially if you start with their tandoori chicken platter. The dish exhibits all of the traits one would expect from the style of preparation, but raises it to a level otherwise unfound in town. The char is restrained but present, the marinade penetrates deeply and has a brightness and complexity of flavor that’s in a league of its own, and the tenderness is second to none. 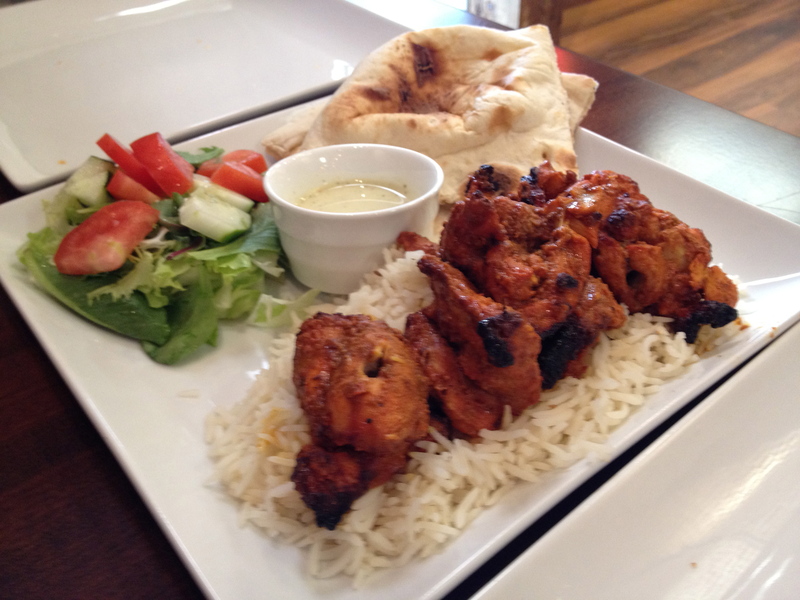 It would’ve been the hit of the meal, were it not for the tandoori kabob karahi. This dish, made of ground chicken kefta-like kebabs that have been grilled, sliced, and tossed in a tomato based masala sauce, had our table of 4 fighting over the scraps. It’s a bit on the spicy side, and a wonderfully complex melding of flavors and textures. 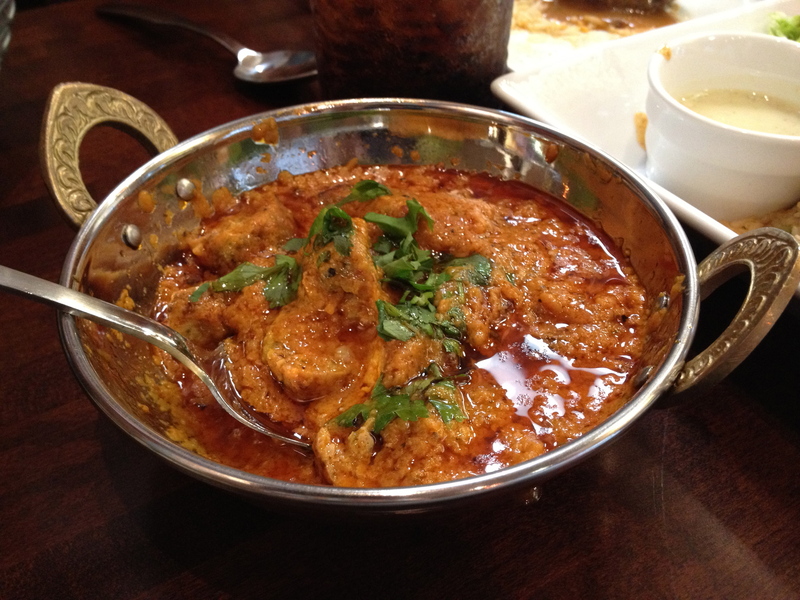 On a previous visit we tried the fish karahi, and found it similarly appealing. The kitchen took obvious care in not overcooking it, and the distinct flavor and texture of the fish made for a dish that differentiated itself significantly from its karahi-sauced compadre. 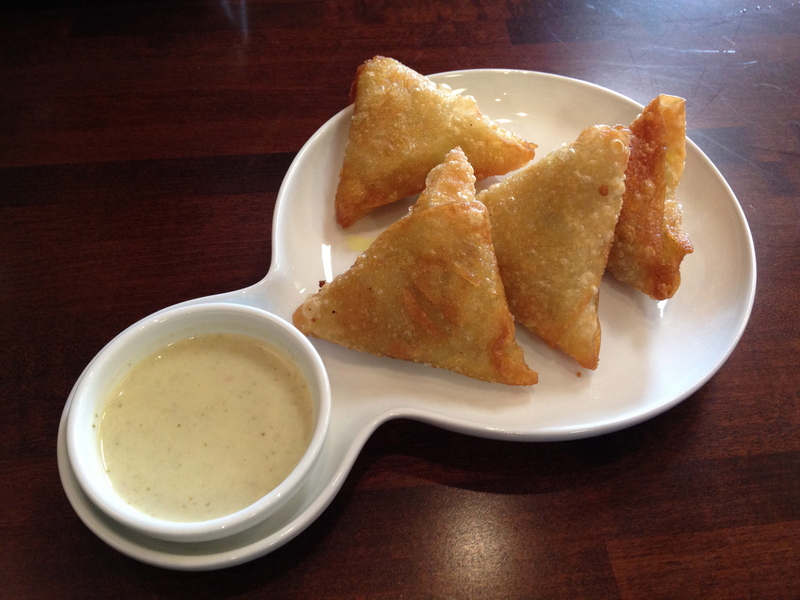 Our meal began with crispy, flaky samosa, one filled with a minced chicken mix, the other with a potato mix. Both were enjoyed, with our nod going to the chicken version. Rarely have we had such a satisfying meal and yet left feeling like there’s so much more to try, but we’re big fans of dishes such as pakora, tikka masalas, kormas, and seekh kabobs, and eagerly look forward to the chance to taste them. Especially since we’re relieved to report that food at Tandoori Grill is every bit as good as Apna’s has been. Service has been on the ball on both of our visits, making for a complete and completely pleasant experience. 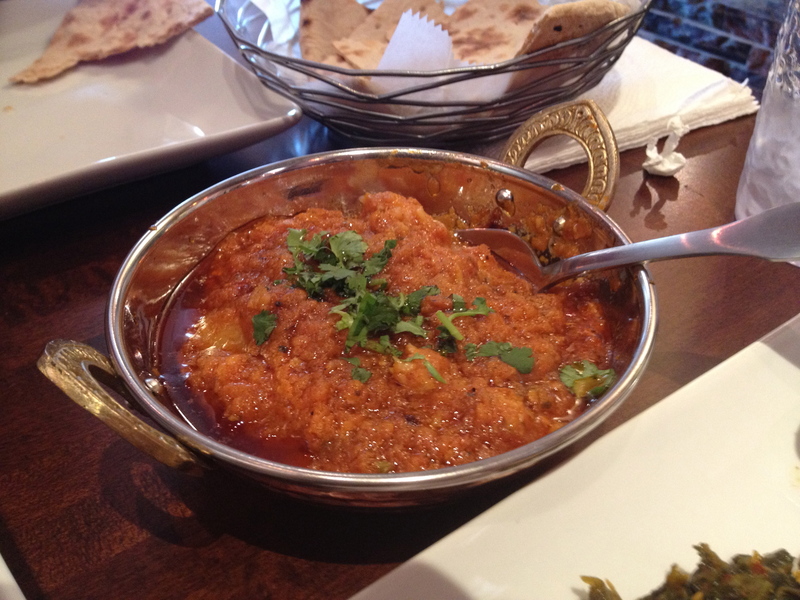 Read more about Apna Bazaar and some of their other dishes here.